Celebrating our industry-leading safety record. The National Safety Council has been one of the world’s leading safety organizations for over 100 years. C&W Services received two corporate awards: The Corporate Culture of Safety Award and the Industry Leader Award. C&W Services client teams received 58 awards for their safety efforts in 2017, including nine Perfect Record awards. As a leader in the facilities services industry, we’re constantly working to make sure that all of our employees, clients and suppliers at all of our client sites across the U.S. and Canada are safe and secure. That’s why we’re excited to announce that the National Safety Council awarded us 58 awards for our work during the 2017 calendar year. We believe that safety is a true team effort, and we’d like to thank everyone on our team who contributes to making our client sites safer each and every day. These awards are a testament to each individual’s dedication to implementing and upholding a culture of safety. 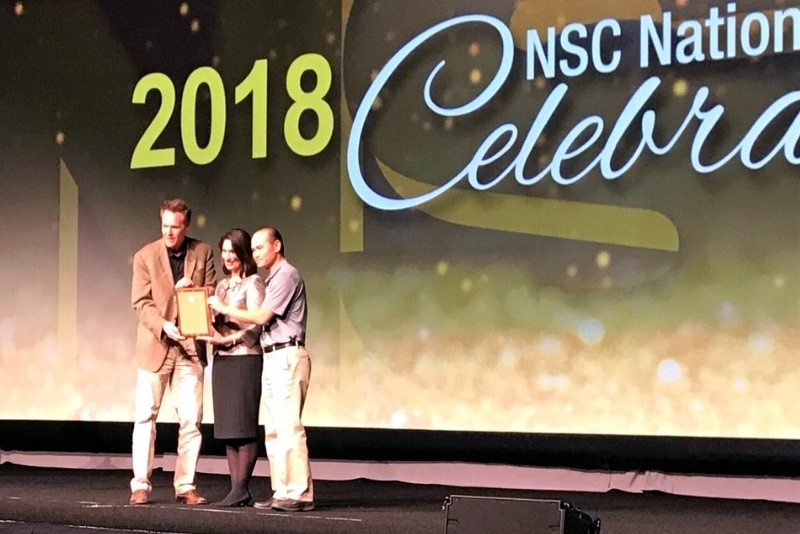 About the National Safety Council Awards. Superior Safety — for operating for 10 years and at least 142,000 continuous work hours without an OSHA recordable incident. Safety Leadership — for operating for 5 years and at least 142,000 continuous work hours without an OSHA recordable incident. Perfect Record — For operating all of calendar year 2017 without any OSHA recordable incidents and working at least 142,000 continuous work hours without any OSHA recordable incidents. Occupational Excellence — for completing calendar year 2017 with at least 235,000 work hours and a Lost Time Incidence Rate (LTIR) 50% better than industry average. Significant Improvement — for improving LTIR by at least 20% year-over-year while operating at least 142,000 work hours annually. Safety Service — for recognizing the outstanding safety contributions of selected individuals. For calendar year 2017, we won 3 Superior Safety Awards; 8 Safety Leadership Awards; 9 Perfect Record Awards; 10 Occupational Excellence Awards; 15 Significant Improvement Awards; and 9 Safety Service Awards. We also received two prestigious corporate awards: The Corporate Culture of Safety Award and The Industry Leader Award. Working on improving safety each and every day. As these awards show, our safety programs are some of the best in the industry. This is a direct result of a continued, daily effort from people at every level of our organization. And we’d like to once again thank everyone who made these wins possible.